We could spend a thousand years just talking about types of paints, miniatures, and the miniature painting process as an art-form and hobby. In fact, we have several painters on our team. 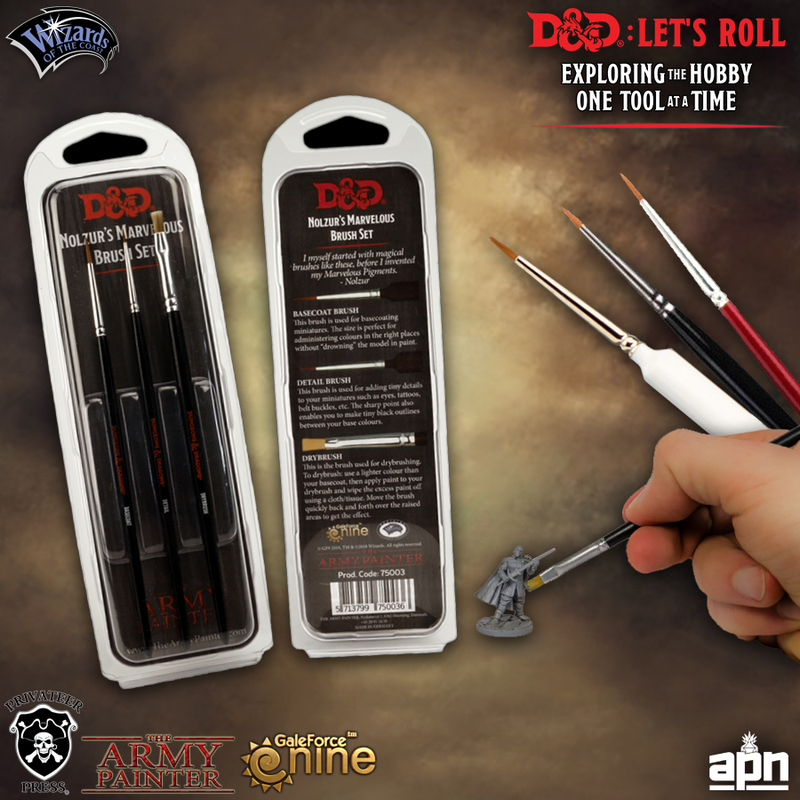 Rather than push you down an overwhelming rabbit hole all at once, I'd like to set you up with some great products that can help you get started on your painting adventure over the next few days! Today we'll focus on paints and brushes! We have discussed our passion for Privateer Press previously in regards to Warmachine: Hordes and we did a Let's Paint video for the "Circle Orboros" starter box. However, Privateer Press also makes a great line of P3 paints and brushes that you can find at your FLGS. They offer a variety of matte and metallic acrylics, washes, and primers to choose from. While not as exciting as all the pretty colors, don't forget to prime your miniature before you start applying paint or there won't be anything for the paint to stick to and you'll likely lose your precious work. With so many paints to choose from, it's hard to select your first set, but make sure you at least grab you primaries (red, blue, yellow) and white so that you can mix your own base coats and highlights. If you mix your paints on a damp paper towel (called a wet palette), it will preserve the paints longer and make the most of all the pots you purchase. This brings us to brushes! The basics you'll need are a small detail brush, a slightly larger base-coat brush (which doesn't require as much precision), and a dry brush. Privateer Press makes some good brushes along with their P3 Paints and The Army Painter's brushes have really nice grips to help you steady and control your application. However, Nolzur's Marvelous Brush Set from Gale Force Nine should not be overlooked because they sell all three of your basic brushes in one package! If you're ready to make an investment in a really great set of acrylic paints, washes, and effects paints, then the Mega Paint Set from The Army Painter is a great option. It comes with a stand to array all of your paints on your craft table as well as one of their triangular gripped brushes. When you're ready to truly expand your primary colors into a spectrum of possibilities, this is 100% a great set to acquire with one of the most recommended detail brushes on the market. What are your favorite paints and brushes to use?